It’s not every day we give a special attention to an S40 handset, but Nokia X3-02 really deserves it. Besides being Nokia’s first touch-enabled phone from the S40 series, X3-02 is perhaps among the most beautiful ones too. 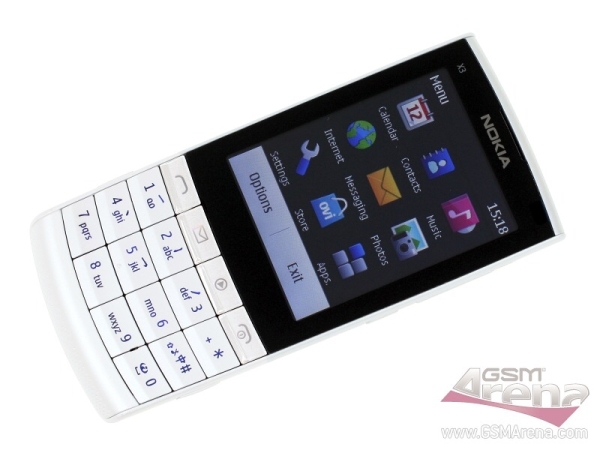 Nokia X3-02 Touch and Type is available in White Silver, Dark Metal, Petrol Blue, Pink and Lilac. We have the White Silver version and it’s been great so far. Nokia X3-02 offers more than just a touch-enabled S40 UI. The whole software is nicely thumb-optimized and uses bigger fonts. But it doesn’t end there. The S40 firmware ticking inside the X3-02 supports Xvid video playback and the handset even offers USB-on-the-go allowing you to connect a USB flash drive or a Nokia phone and browse their file content. But enough talking, here is our demo video. You can expect our in-depth review of Nokia X3-02 Touch and Type soon.